VBA-JSON is an excellent library for parsing JSON in VBA. Lets see how to handle JSON in Excel VBA. Extract it, open VBA code editor in excel (Alt + F11) and import the library as shown in the gif below. This library provides a simple method ParseJson to parse JSON string into a dictionary object which can be used to extract data. Let’s see an example. I’m using fake data from http://jsonplaceholder.typicode.com/ which is an API service with fake Json data. We’ll be pulling user data from http://jsonplaceholder.typicode.com/users by making a GET request which responds with Json data. JSON data received in the response is parsed by passing it into ParseJson method. parsed data is converted into a collection of dictionaries. Loop through the collection to get each user’s details and set its values to the first sheet. Running above code looks like gif below. In the same example above, If you want to read JSON data from a local file then you can use FileSystemObject to read all text in the file and then pass it to ParseJson method. VBA-JSON provides another method ConvertToJson which can be used to convert excel data into JSON. Here’s an example. First, define rng as range and set it to data range. ConvertToJson method takes a dictionary collection or array as parameter. So we should pass our data as a collection. A Dictionary is an object with keys and values just like JSON but doesn’t support multiple items like arrays or collections, so we create a dictionary for each item and push it into an array or a collection. Push myitem into collection and set it to nothing, because we are using the same dictionary to add next row’s data and push it to collection again. Finally pass items collection to ConvertToJson method which returns a JSON string. In the same example above, If you want to export excel data to JSON file then It can be done by opening a file for output by specifying the path of the file and printing data in it. Sample code below, Running this would save a JSON file in the current workbook’s folder. myfile = Application.ActiveWorkbook.Path & "\data.json"
Read official documentation of VBA-JSON here and use VBA-Dictionary for Mac Support. If you have any questions or feedback, comment below and please use CodingisLove Bin for sharing your code. This code works very well for the flat json structure. My requirement is to have nested JSON structure. Please find below code for example. Please let me know if we can achieve something like this using VBA JSON. Help will be much appreciated. I’ve updated the post with nested JSON example now. This should help others too. What need I change in VBA code? You should understand the concepts of arrays and dictionaries to do this perfectly. how do i export to excel for the above mentioned string? i tried with your example and i got “Type Mismatch” error. Please help. Please read about arrays to understand the structure. I want to export my Excelsheet to a jSon-file, but I can not solve my problem. I really like your Code (thank you! ), but the problem is that your solution will be saved in a cell and not as a new jSon-file. Can you show me with your example how to import the data into a new created jSon-file, please? Hi, I’ve updated the post with a new section – Export Excel to JSON file. Let me know if that helps. But if my sheet has two columns with the same heading, the second one is overwriting the first one. How can I solve this problem? I didn’t get you, can you explain clearly with sample data? The content in the columns are different, but the heading is the same. If I start the code, the columns 12 and 13 are overwriting the columns 10 and 11. But I want all the four columns in my json file. You can just name the second and third author with different names like myitem(“author-2”),myitem(“author-3”) or else you can make authors an array and push all the author values to that. The content of the columns are different, but the headings are the same. The columns 12 and 13 are overwriting the columns 10 and 11, but I actually need all columns. Yes, you can select specific items by using index of that item instead of looping through all items. Do you have some sample data? It is showing one error that the ConvertTOJson(items, Whitespace:=2) is not defined while running the code. what’s the problem? can you help me to type the right code? I will be writing another article on ‘Understanding JSON’ soon. Stay tuned! thank you, but I have data in JSON format from API of some sport website and I need to import to Excel. I just copied data that I received. You can just make a HTTP request to your API as shown in the example where I’m getting data from a fake API. Just Replace it with your actual API if your API responds with data on GET request. I’m not a programmer, and I please you to help me, what I need to change in your code. Just add your API in line 4 and it should work. Hi, what if the same structure of JSON is hosted on an API URL? For Each Item In JSON_data // then loop throught the information? If you could share an example on that, it will help alot. Sorry, it’s working. Thank you very much! Hi, can i get the data using item index. i read your post and find what i searched for long time. Can you pls pls pls give me an example how i got onto distance and durations value and text values? Hi, It can be accessed using JSON("routes")(1)("legs")(1)("distance")("text"). I’m posting a detailed tutorial on JSON soon. Wait for it, You’ll be able to parse every JSON structure! Hey, thx for the answer it was a great help! I have one last question. Can you pls tell me how i can all entries in example the routes ? Like this ? JSON(“routes”)(?max?). I tried it with ubound(JSON,”routes”) but it didnt work. That data is not structured properly. You have to write multiple loops or access each of them manually with each line of code to get all the data. Based on your example here: http://jsonplaceholder.typicode.com/users, how can you get the same exact details as from your post but only under a certain value which the criteria is “city”: “Gwenborough”? Having trouble with this json file. I can only get 1 carrier. what I would like to happen is that it will give me all of the carriers, Sprint, Verizon, AT&T and T-Mobile, however, I can only get 1. Hello Mae, Please share your existing code. The JSON you provided is incomplete so I made some assumptions. modify it a bit to match your requirement. Oh sorry. I thought only the loop in which I’m having problem. Just use the loop in this code – https://bin.codingislove.com/gudobodape and modify it as required. It should work. Sure got it working however, I’m having blank rows. What I’d like to see is only the criteria type=Airport. What could be the problem in my code? But this will get only one carrier, combine this with the previous code I shared with you to get all the carriers. Hope that helps! Thanks for sharing very usefull for me ! By now i’m looking for a way to put in the worksheet the data parse when you don’t know the json struct which may change between every rest call. I precise that the Json data may include nested arrays. i’ve not seen or understood how to get automatically the list of items keys. I want to put the data in the sheet in a kind of “deep first” logic using items keys in heading. A sample code might help. I am a DBA by profession, not much of a coded programmer, I have a large json file with data that i want to parse to either csv or excel which them i would get it in my sql db. I dont know anything about json but i find this page helpful. I was trying to use VBA but didnt get far with that. Whats the best way to parse this json file? If you need full control over the import then above method is the best but you have to write some code. If you don;t want to write code then you can try JSON import which is built-in in Excel 2016 in Data tab. Built-in import might not work perfectly depending on the JSON structure. I tested parsing your JSON, It works fine. Here’s the code – https://bin.codingislove.com/uvilepexoz.vbs. Make sure that you are passing the right JSON string. This is the JSON string that am trying to parse into excel. – https://bin.codingislove.com/daqacufavo.json Am not sure if the structure is good, this is how i receive it, so it should be fine. Also, read this – https://codingislove.com/json-tutorial-indepth/ to understand the difference between objects and array and when to use loop. I definitely need your help! Hi, Sample code in the article works for your JSON. Why don’t you give it a try? I’m trying but I really cannot manage.. I read all your posts but unfortunately I’m not so familiar with JSON and VBA..
Do you mind showing me at least a part of it? Thanks a lot! You are very kind!! Do you think I can put the code all in the same cell? That’s what I was asked to do..
You have to paste the code in code editor. Read instructions in getting started section above. Yes, I ve done that and it works. Just I would like to put have all the content in the same cell in Excel and not in more cells. is there a way to use it with Access? I haven’t tried it with access yet. I’ll try it and let you know! Can you post a sample link of your web API? I have about 500 of these collections to create, via api with post method. Hi Lalla, can you post your existing code? Give it a try using above examples first. Hi Roman, Yes it is possible. You can modify above example code a bit to get that format. could you show how to change and where? if not difficult, please and thank you! Make it dynamic by writing some more code according to your full set of data. Hi, Post your worksheet with data and a reference to this post on Forum. Perfect macro. But my structure is different like below. If you can help me you can save my life!! Hi Emrah. There’s a ton of data in that link. What exactly are you looking for? Below link is a site which shows stocks in stockmarket in real time. So, I would like to get Stock data of each stock from Stock table. Here’s the code – https://bin.codingislove.com/avupeloxov.vbs Hope that helps! Waww it works. You’re the best! You really saved my life. Just I see one missing point. When you import values from Json to excel it’s taking only first connection values. If you re-try it’s taking old values instead of actual ones. So, basically refresh is not working. It depends on your API response. VBA doesn’t store anything so it cannot take old values. debug it by checking the response. I am having trouble getting the parser to work with this JSON format. Can you please help? I ‘d be greatly appreciative! 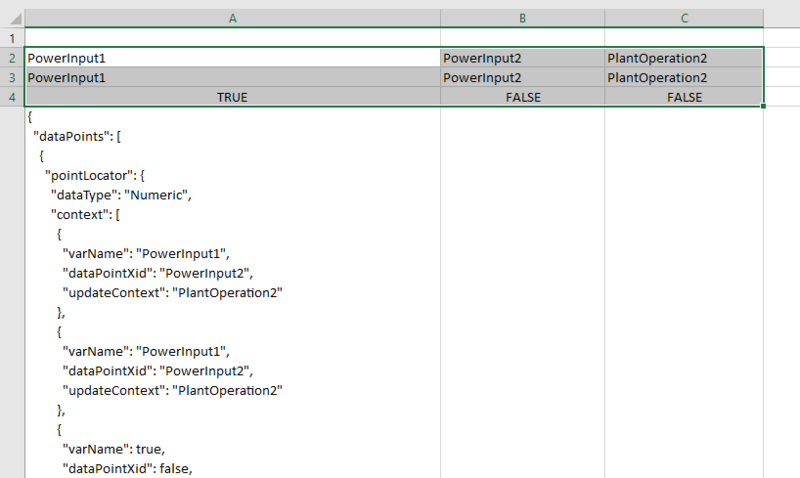 To further clarify, I am looking for the above posted JSON to convert into excel. I’ve spent a good part of the last few days trying to get this JSON to Excel conversion using the function JsonConverter.ParseJson, but was unsuccessful. I would be thoroughly grateful for your help! Howdee – super helpful tutorial. I’m running into an issue that someone mentioned earlier but looks like they forgot to finish following up on. I’m getting the correct JSON string returned from my GET call. However, I’m getting a type mismatch error when trying to write information to a cell. was just me trying some troubleshooting. You don’t need a FOR loop here because your JSON object is not an array. Understand JSON structure completely by reading this – JSON tutorial for beginners. Hope that helps! I read through your JSON tutorial and was super helpful. Really helped me understand how it is structured. Additional question though, I am looking to loop through about 50 of these and pull information for each. I’m able to count the number of loops I need to run by using JSON(“data”).Count. Do I just need to create a For Loop like the below? I tried this approach but does not seem to work. If you are going by the count method then you should specify the array index to access an item in array like this – JSON(“data”)(i)(“ID”). (Index starts from 1) Just use For Each loop as mentioned in example code in the article instead of getting the total count and making it complicated. Thank you SO much for this article. It was an immense help to me in converting a jagged (nested) JSON file into CSV. Many other blogs explain stuff very briefly just to get views and not help people. But I want to actually help people solve a problem so I write in-detail and help them with customized code too. The only sad part is when people ask for help even without reading the article completely or without trying to write some code. Now that I’ve imported several JSON files and analyzed them, I do have a question. Some of the Unicode characters are being lost in the import process. For ex, Ü is being interpreted as Ãœ. Is there something I can change in JsonConverter.bas to fix this? The JSON file is encoded with UTF-8 charset. I was trying to open that file for parsing using FileSystemObject as shown in your example above. Unfortunately FSO cannot read UTF-8 files, that’s why it was unable to read the extended chars. I changed the vba to use ADODB stream instead (code below). Now it works beautifully. Cheers! how can i parse the multiple line of data? I would like to retrieve Apple app-store rating data, through the following code. Hi Tom, There are 2 issue with your code. You are trying to set cell value to item(“im:rating”) which is a dictionary object. So it will throw an error. Set it to label value instead – Cells(i, 1).Value = item("im:rating")("label"). el origen de mis datos se actualiza constantemente, si tengo el libro excel abierto y ejecuto la rutina no se actualiza. Cuando cierro y abro libro actualiza perfectamente, pero necesito actualizar la data con el libro abierto. ¿cómo puedo actualizar la data nueva sin cerrar el libro excel? Mi english is poor, I hope you help me. The origin of my data is constantly updated, if I have the excel workbook open and run the routine is not updated. When I close and open the book it refreshes perfectly, but I need to update the data with the open book. How can I update the new data without closing the excel workbook? Hi Ariel, I guess you are pulling data using an HTTP request. Probably the request is cached. Can you share a sample URL to your source? Hey Ariel, I tested it with a link which has data that changes constantly and it is updating correctly. Were you able to solve this? i have the same problem as Ariel. Can you hlep me? This is the code, with the URL. I used your code and I’m getting updated values every time. I tried running the code every 10 seconds, how often are you running it? How do you create those nice animated images? Hi Nestor, I use some tools like RecordIt to create a gif image directly or record screen using any screen recorder and convert it into gif. Hi Krishna, You can check that using exists method of dictionary because JSON objects are converted into VBA dictionaries here. In the following JSON, I want to check if the Order has a Billing Address and a Address 1 inside Billing Address. however if i use JSON.exists(“orders”)(i)(“billing_address”)(“first_name”) I get a type mismatch error..how can I check if a nested field like this exists in the JSON? Set the dictionary object to a temporary variable and then check if exists in that object. Above code will work only if you are sure that an object named billing_address exists. If you are not sure then you have to make a check for that first. how do I get to the OrderDateTime? I have tried all possiblities but couldn’t get to it..
Read this – JSON tutorial to understand JSON structure completely so that you can parse any type of data. Ok I understand it now..thanks a lot.. Excellent code and support. This was very helpful for my project. I have a situation where some of the nodes are missing in the JSON structure from time to time and the parsing crashes with “Object Required” error when it hits the absent nodes. I need to address this issue. Can you please help me? Will this work on Windows server 2012 w/ Excel 2013? I am getting “User-defined type not defined” error with a statement containing “MSXML2.XMLHTTP”. Exact same code works perfectly fine with Excel 2013 and Excel 2007 running on Windows 7 pro machines. Many thanks for pointing me to the right direction. I removed error-handler and checked for item existence. Now everything works great. Hi, one of the APIs I use doesnt give a valid error message but instead simply returns a  when the request parameter is unavailable. How do I check this before trying to get a specific value from the dictionary? I am reading JSON from a. But when I enter data in excel, the texts contained in Json do not convert special characters, such as í, ã, á, á, à, ç. Good job. Continue with this work, you will be recognized by him.pois is of great importance to the community ( your help arrives in Brazil 🙂 ). thank you. I have been trying to convert the linked JSON to excel, but have been failing. I think I understand it to be an object, inside an object, inside an object. If you can offer any advice it would be great. I have a very similar situation to this post and I am getting the error message “Dictionary key not found: 1. Information”. My code is below. 1] How do i refer to these nested json objects and arrays, collected in nested Dictionaries and Collections, inorder to properly populate into excel sheet? 2] Will i have to always refer the headers in the json object by names, for populating their values into excel? Hi Elijah, Have a look at first example code above. Address object in the JSON is nothing but a nested object. You can parse any object in the same way. You can either get the object values using property names or looping through the entire object. This comment also has example code where I loop through an Object (not array). i am a chip design engineer and newbie to programming. your post helped me to get what i wanted. thanks for this very useful post. one clarification, the API is getting data for the first time and it maintains it until i make any modification to the code. how do i make sure every time i click the activeX control. it fetches fresh data? thanks a lot for reply ranjith. i added the statement as you suggested but this time around iam not even getting once. i give some old data. thanks a lot for correcting it ranjith. it works fine now . really appreciate your help.. I have tried your code for the parser but I keep getting mismatch error on the lines with Sheets. reference. Any idea why? I also have nested data in my json return. I am getting object errors for one or both. Hi Chris, Please share your complete code. I created a class module and and userform per you instructions and included this in a new module1. and here is how my json looks. Sorry for the oversight. It seems to work perfectly. I really appreciate your help. You are a life saver. Could you please help me for my error? Thank you very much. I’m OK now. Thank you very much for your code. Microsoft excel does import json files! Only Excel 2016 and still has limited support. first of all: great work what you are doing here! Thank you so much for your great and helpful articles and comments. I tried for hours now, to get some code working, but i dont find the right solution. Would be great if you could help me here! It is already working to read the data and put it in the sheet. But it puts the three fields with the data (for example the first: 2067, 0.63, 1498499127) below each other and i try to get them side by side. And after this, the next three values should go one line below and so on. I red your JSON Master Articel and it helped a lot for understanding. But i dont know exactly how to work inside the vba code with objects or arrays. Hope you can help me here. Thank you in advance! this article is awesome, the best one I found so far regarding JSON / VBA. I would like to make a GET request from https://bittrex.com/api/v1.1/public/getmarketsummaries and then use the returned values and assign them to variables. Also, if I download the VBA-JSON library you mentioned and select it for the module, would the macro be working on other computers or do they all need to download the library to use the excel sheet? Hi, please share your existing code? The macro will work without any additional import on another computer. Just import in once on your computer. it possible to write the JSON data from .json file to VBA? i want to write some data from json file to vba and show on PPT. it is possilble? Hi, Checkout “Reading JSON from a file” section in the article. You can read a JSON file in the same way. Apparently I got mismatched error when running the macro. Appreciate you utmost help. Thank you! hoping for your kind support. thanks! Hi Lawrence, This should work – https://bin.codingislove.com/cilitabuka.vbs Please read JSON tutorial linked in the article. thank you very much Ranjith! All the best! I have encountered slight error when running the macro. When I tried to manually run macro every 30secs, it seems that my timestamp is still the same as the first result I got. I assume that i doesnt resend new update if I run it multiple times. is there a workaround for this? thank you very much! Read the discussion here – https://codingislove.com/excel-json/#comment-1853 You have to use a fake GET parameter. When I checked this link http://api.pse.tools/api/stocks the website shows “502 Bad Gateway”. Could this be security/policiy issues on the site? and post your further queries on forum. I try to adapt your code to an API although i keep receiving an error “Object doesn’t support this property or method ” at line For Each Item in JSON. Do you know what can be the cause? Hi Mike, This should work – https://bin.codingislove.com/luqefatiyo.vbs Please read JSON tutorial linked in the article to understand JSON structure. Thank you very much Ranjith!! I will read the tutorial as well. Should have done this first. Thanks! Thank you so much for this article and sharing your code! I followed your instructions and have the JsonConverter module and the Microsoft XML, v6.0 reference. Then I copied your “exceljson” Sub under “Import JSON to Excel” without changes to the code or url. When I run the code, I get a “Compile error: Variable not defined” and Item is highlighted in “For Each Item In JSON”. Having read some other comments, I tried adding “JsonConverter.” before “ParseJson(http.responseText)” but recieve the same error. I’ve also tried removing “Option Explicit” before the Sub but then I recieve a different error “Run-time error ‘0’: KeyNotFoundError Dictionary key not found: id”. Clicking debug, the code errors at “json_ParseObject.Item(json_Key) = json_ParseValue(json_String, json_Index)” in the “json_ParseObject” function. Would you please be so kind as to help me identify what is going wrong? Thank you for responding to comments. I have a question, I did not find it above. Hi Pavel, I guess you are talking about the format of SensorValue. 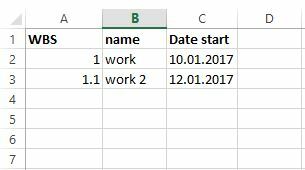 Setting the cell format to text before setting the value should solve the issue. Yes, that’s right, you helped me a lot. You would not be able to tell how implement the auto execution of this code? For example, with a periodicity of 30 seconds and not using a custom call. If it is possible to implement it with the help of excel + vba. For any information I will be very grateful to you. I’m sorry, thank you for your answers. I am found an answer to my question. If anyone needs it, I’ll just leave it here. I have a question, why when I use such a code, with a request for a button like you. Data does not change even if they have already changed on the destination server. Those. Works once, and then the data is not updated when the macro is run again. Why? My code works but I can’t get targetLangs from the end of the sample. I suspect it has to do with the untitled array. But I wasn’t sure how to add it to my code. Suggestions? I’d like the targetLangs in the same cell. Hey, I’m pretty new to VBA, everytime I’m trying to run a macros I’m facing “User-defined type not defined” error. Can you direct me? I’m trying to convert Excel to JSON using your test data. Hi Alexandra, You might have missed a reference to Microsoft scripting dictionary. Make sure to add a reference to scripting dictionary as explained in the article. Hey. I followed your steps. But when I run save the VBA.. it says “It cannot be saved in a macro free worksheet” I am a noob in coding. So I do know that I missed something. Can u tell which step did i miss. Hey, I followed your steps but I am getting a compile error: type mismatch, and Private Function utc_ExecuteInShell(utc_ShellCommand As String) As utc_ShellResult, is highlighted in yellow. Basically, I want to convert CSV file to nested JSON. I am completely new to VBA programming and don’t know much about it. Could you please help. I am using mac. Hi Harsh, Are you using https://github.com/VBA-tools/VBA-Dictionary for mac support? Also, please share your code. Well explained post for a noob like me. But I come across an api which i tried to parse with no hope. It looks like Json data as per your explanation but while parsing I’m getting 10001 runtime error. Tried random url. I’m new to coding. Any idea regarding the above issue bro? Also, Add a reference to Microsoft Internet controls, Microsoft HTML object library. Hope that helps! Thank you so much buddy. You are awesome. It’s a great post. I have been looking for a solution for couple of days now and finally saw your post. It seems simple and doable but I have some questions which I am not sure if your post will help me resolve them. Each address field can have multiple addresses. So all I need to do is split the address into 4 different columns(city, state,street,zip). Any ideas how to fix this? Will your post help in fixing this? Thanks for any help in advance. Hi Meno, You can parse that JSON same way as shown in above examples. Here’s some sample code to access data from an AccessDB table and parse JSON in address field – https://bin.codingislove.com/regunasinu.vbs Modify it according to your tables and queries and write some code to add new columns using the parsed JSON. Thanks, Ranjith for the prompt response. It did work out very well. I am able to parse the address field following your sample code. However, how do I call this function to execute? On address field? I need to add new columns to the query itself, can it be done? Ranjith, I have figured out the above questions myself. I am now able to call the function through field expressions. I am passing address field to parse and works well. Now, I am dealing with the next step and definitely need your help with this. My json address field can contain multiple addresses that means address field contains array of json items in it. so far my code is processing only the first item/ address in the array and appending those fields to the existing query. 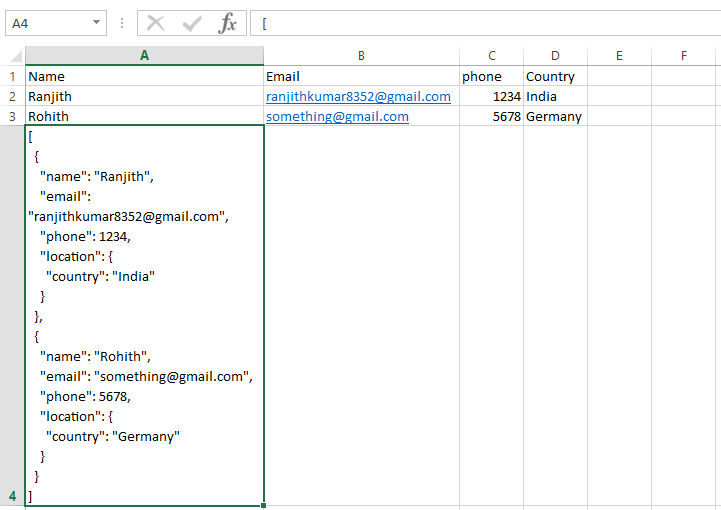 How do I pick the second item i.e second address and create a duplicate record with all the other non-json format fields along with the parsed json item. Thanks a ton. Appreciate it. Once all columns are filled, just delete the entire address field manually using access interface. The only thing you need to work on is – The code that I gave opens a read-only connection. Figure out a way to make that connection write enabled. Hi Mike, Did you add a reference to Microsoft scripting runtime? Press debug on the error dialog and see which line has the error. But these attributes i have a lot( about 300). Could you help me how can i read this JSON file? I am using Access and trying to find a simple way to convert Json data to CSV so that I can import the data easily into a table within Access. I have been playing around trying to get the code to work without any luck. basically I have the Json data in a file called “test.json” and would like to output the data into a file called “output.csv” with column headers….. I have tried a version of the code you posted for reading from a file but as I am a newbie with VBA, I’m at a loss. Hi Greg, If your JSON file is simple then just use some online tool like – https://konklone.io/json But if you have a complex JSON and need some customization then you have to write some code based on the requirement. Try that online tool and see if it does the job. I’ll write a detailed tutorial on converting JSON to CSV soon! I am trying to automate the entire process so I can’t use any online tool as I need convert the json data to CSV to make it easier to import into a table within an Access environment. Hey Greg, I’m writing a full detailed article on converting JSON to CSV. I’ll publish it tomorrow. Subscribe to notifications to get notified! Hi Rodrigo, Did you a reference to Microsoft Scripting runtime? Thank you very much for awesome article about JSON integration into Excel! I need your help – I also read your article about making XmlHttpRequests using VBA. However, I’m somewhat stuck with my project – I don’t know and understand how to send request header. For testing JSON I’m using Postman (Chrome extension) . There I can include header with “auth” parameter and my API key. There is no basic or any other authorization, but for making requests just API key need to be passed as “auth”. Adding that key to URL is not possible – or to be more precise it will not work. So the question is how to add it in order to make GET request? Hi George, Did you check Request headers section in xmlhttp article? You can add your auth header like this – http.setRequestHeader "auth", "yourapikey"
However, it is not fetching values partially and not for all. Can you help me to complete this? I can debug it If you have a valid JSON. is there any possibility to store a parsed text in some sort of memory buffer in order to not to repeat a request every time? you can store it in a string variable if you want to reuse it in the same run. Or You can just write the parsed text to any cell in excel sheet. Just only say…many thanks !!! How can I get the Authorization header in each request? This header needs to be passed on every request. 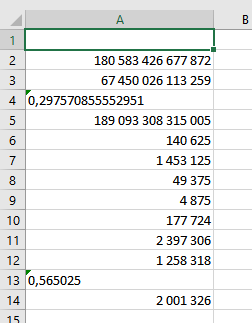 I would like to print the values of each record in a line of a sheet. Hi, VERY GOOD tutorial, it’s fantastic. But I had a problem, I have an indefinitely objects, how can I make a loop that reads all objects even though I do not know how many? but I’m just reading the first value and several times. Would you know how to help me? Thank you so much! Read JSON Tutorial and understand the structure. Thanks for the documentation. New to VBA and json it was a great help. This being said I’m, running (more or less) against the same problem as others. Hi Sophie, Please share your complete code. I don’t know what is Item set to in your code mentioned above. I get the runtime error: “429: ActiveX Component can’t create object” on mac. Hey Dirk, WinHTTP or msxml2 is not supported on Mac. Try using VBA-Web They have created a workaround to make http requests using some shell function on Mac. I made one error to include the FALSE parameter on send but then it ran perfectly. Question please: I want to extend this tutorial to include a jQuery Grid widget, ParamQueryPro. Is read/write possible between Excel and a jQuery Grid? If so, can you suggest the best approach to populate same JSON data on a bi-directional read/write between the Excel spreadsheet and the visual Grid? What do you mean by select? would the code be: Sheets(1).Cells(i, 1).Text = Item(“placementTypes/0/placementType”) ? Teri, are you still progressing within this tutorial? If so, I am going to complete it myself and wanted to know if you wanted to progress together with any observations or comments within the steps shared by Ranjith in his wonderful tutorial. I have a project and can’t proceed with this obstacle; would really appreciate if you can help out 😀 ! Excellent! I want to accomplish this exact tutorial as well. To determine the best practice of converting CSV / Excel data to JSON. In a few hours, I shall begin this tutorial and share my progress. I hope we both can accomplish our objectives. as you can see, there is a breakdown of ‘placementTypes’ within ‘results’; how do I code so that the values are read accordingly for the above variables? help is greatly appreciated ……from anyone! Read JSON tutorial linked in the article and understand JSON structure. I only have one problem the first time I call the json normal load but if I enter a record in the second load the json does not update apparently it stays in memory the first time. How are you doing with the tutorial? I’ve looked at the tutorial, but it doesn’t discussed much on JSON–>VBA. I’m having problem on how to retrieve the data from ‘placementType’ downward. I know the coding for count,success,failure is not correct, but I don’t know how it should be called… any ideas? I became overloaded for a brief moment. Shall complete the tutorial and together, we can add to it with your example as well as mine. Please allow me a few hours to catch up. Hi J, what do you mean complete the tutorial? Are you writing the tutorial? Can we communicate via email…it’s easier I would think. I am not writing the tutorial, I am following it, just as you. The communication here within this area is the best. Email notification is enabled here. The only thing for improvement is the ability to include FILES, such as screenshots, but we can use video notes. J, what location are you in? I’m new to Json. Have you been working with Json for a while now? I’ve sent you a couple messages, but have not heard back. In case you didn’t, please refer to the comment above. I really need your help on this and I have a deadline to meet and would really appreciate it if you can. Thanks! Hey Teri, That link you shared is not working. Can you check it again? in case you’re still having problem, I will email you the file, text and excel…. Ranjith, were you able to get the data or email? That link is not working but I used the JSON file you mailed me. This should work – https://bin.codingislove.com/modeqedinu.vbs Read JSON Tutorial, understand the JSON structure and modify it as per your needs. That helps a lot. Thank you so much! btw, I have read the tutorial couple days ago, but I don’t think it explains much about how to retrieve data on any given level of arrays…like JSON(“results”)(1)(“placementTypes”), I didn’t know what the ‘1’ mean. Anyway, I played with the codes and now I understand. Thanks again…take care…until next time : ) ! Hi Jerry, Please share your code. There’s no For Loop. Check example in the article. I fixed it. sorry for bothering you with this topic. first of all a big thank you for your code, it is working fine. I want to convert a few excel cells into a json. What am i doing wrong? Do you have any idea? Big thanks in advance and keep up the great work! Hi Chris, This should work – https://bin.codingislove.com/gidukanewu.vbs assuming https://bin.codingislove.com/ujuwepuwip.json is the output required. Hope that helps! Hi Prem, I think your JSON is wrapped in quotes in the beginning and end. Make sure to remove them. Ranjith, all of your posts are great. I’m really liking how you lay out your code and explain what each line does line by line. Unfortunately though, on the first example here in the post, when I try and run the sample test code, I get an ‘Access Denied’ error on the http.send line. Do you know if that could be a simple issue or maybe i copied and pasted wrong? I’m just getting deep into the whole VBA, macro building, within excel to advance my skill set for web scraping for analysis and I’ve successfully built a scraper that uses the Internet Explorer method which works for awhile, then crashes due to a time lag. I’m hoping that if I convert it to use xml to pull the java data in the background it can run more efficiently. Looking forward to your response to this! Hey Rajinth – thanks for the reply! The code does run (thank you!) but it doesn’t actually drop any data into my sheet afterward. Am I missing some sort of paste function? I re-read the post and I believe it’s supposed to drop the dictionary onto the sheet, right? Hey Alex, Check your first sheet. It should have parsed data. That absolutely worked, however now I have switched to a mac and am getting an Active X issue. I already installed the new dictionary, as well as VBA-web and that solved my compile issues. Now I am not sure where to go from here. Thoughts? I am using the code you provided, and am on a 2017 Macbook Pro running high sierra. Hi Alex, Can you tell me the exact error and the line in which error occurs? Any idea why it is adding double quotes? Hi Sam, Can you share your code? can you help me to type the right code? I have gone through your posts.It’s very useful. You have shown excel to json but json to csv for the json file is in local drive is not mentioned. Yes I did , but getting run time error ’53’ file not found. The JSON you have mention is not valid. Make sure to use a valid JSON and there are some missing brackets in the code. 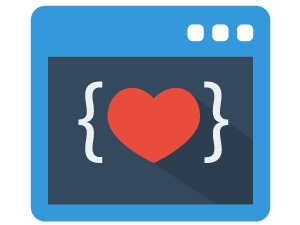 Please use CodingisLove Bin for sharing your code. The code is working super fine for JSON file but nested JSON file gives run time error ’14’ “out of string space”. Could you please help me with FOR LOOP of the code? My JSON query is returning a single (non-array) result, and therefore doesn’t include brackets. How can I make this work in this way? It currently gives me a Type Mismatch error. Many thanks! Hi, If your result is a not array then don’t use a FOR loop. Use properties directly – JSON("yourProperty") Read JSON tutorial for more details. But getting ITEM check error on assigning the item(“key”) to cell. I want JSON format has always changes. how can I do something like that ? Hi Ranjith,Thanks so much for your help. For example, I want to create json file in Japanese. When compiling, the character code is garbled. how can I do something like UTF-8? Given the following object I can refer to the key/value fields as long as I know what the ‘id’ is. For example, the first 19142 is not a key/value but I need to know what this number is in order to refer to the keys/values that come after it. It seems to be a bit of a catch-22 for me. I can’t determine the id unless I know the id. Thanks so much for your help, but I’m still having an issue with this. When I try to run the code I get a ‘variable not defined’ for Property. I have downloaded and installed Dictionary.cls from https://github.com/VBA-tools/VBA-Dictionary, but I’m not sure if I need to do anything else in my project regarding this. It’s working now. Once I declared ‘Property’ as type Variant it works perfectly. However, I have a small problem I can’t figure out to fix. In my sheet I use 2 macro’s to get information from 2 different sites. The first one works perfectly, the values update everytime the macro is run. But the second one only updates the 1st time. I have to close and re-open the sheet to get the values updated again. As you can see, I used the same kind of code and structure, so I don’t know what’s wrong with it. 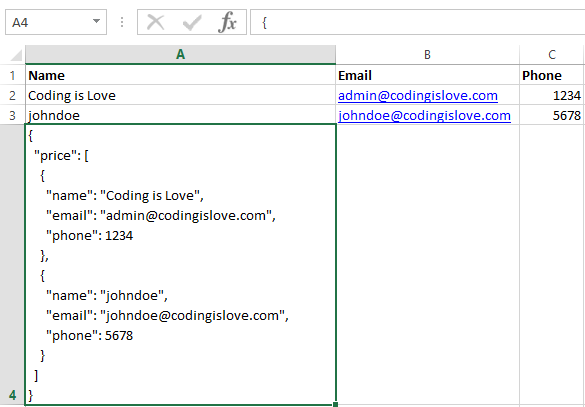 Hi Johan, Read the discussion here – https://codingislove.com/excel-json/#comment-1853 and add a random GET parameter. That should fix it. Hi Ranjith, thanks for the fast reply. The values update every time now (well if they changed on Coinmarketcap) but now there is a more serious problem: I only get values for the first 100 coins anymore, while there should be 1360. What should I do now to fix that? The code you have provided works perfectly, but now I find myself needing to find another key, within the ‘for each property’ loop. In the example below the first key for timesheets is 371149608. Your code extracts this key perfectly. I have tried a number of different approaches without success. What do you suggest? Now within the ‘For each Property’ loop I need to find the keys for ‘customfields’. Hey Kelvin, Use Codingislove Bin for sharing your code. The data for customfields is actually a foreign key to another table in my database. So, 2882 is the primary key in a table for custom fields, and “Service:Administration” is the value of one of the fields in that record. It appears that I can use the .Count method to determine the number of entries in customfields, so I’m wondering if there is some way to determine the key/value for each of the 3 entries. Any insights you can provide would be greatly appreciated. Ranjith- hoping you can help. I’m trying to write the vba to import this JSON to excel. Getting stuck with the “Items” object. I can get parameters like “total_count” to work. Could you give me a hand? Hi Adam, Share your existing code. I’ve created a ChargeList and ChargeListItem class module that broadly mirrors the OfficerList equivalents and managed to get this working to pull out parameters like “total_count” but get stuck doing the same for the parameters in the “Items” object. Please post it on the forum. It looks unrelated to the article. Thanks for the very good webpage. i used your answers to make my code, but I don’t know how to make two nested loops. I would like to retrieve asks, bids, isFrozen, seq separately and import into excel. But I keep getting run-time error ’13’: Type mismatch. Can you help me with the right code? I appreciate your kindly help. Hi DoubleWEI, That site has scraping protection using Google ReCaptcha so you may not be getting the actual response from GET request. I am trying to parse the following json in excel. Please let me know what are the changes I should make to get it worked. Read JSON tutorial linked above and understand JSON structure. What should be the steps to work with such kind of json files? From the example below I would like to create a table with 1st column containing only companies containing “_org” in their names. And if possible to write their names in table in format like “company.org”. And the rest columns in table row to have info according to that company. How about a POST request? This was super useful for my GET requests but I’m having a lot of trouble with POST requests… The last error message I got was Error 400 Request header or cookies too large. I’m super lost. Help me please! Hi Laura, It depends on the API that you are requesting. Please share your code. I have not been able to add the string request on the body, I get the same error message. I have read that the problem may be that the URL is too long, but I have tried different ways. Thank you in advance for checking this! What’s wrong with my JSON brackets? Hi Mohsen, Make sure to add a reference to Microsoft scripting runtime and option explicit is not set in your VBA editor. Also, Use Bin for sharing your code here. and i am using the same VBA call above but replacing it with my URL. I am receiving error 10001 as it seems i cannot jump to the second “results” in my JSON file or maybe there is another issue. I am already including the reference to microsoft scripting library. Hi Kumar, i figure it out where is the error. Somehow my json files aren’t accept and when i turned them to text, it worked. However i have thousands of files and need continuous conversion from json to text to be accepted withrout error 10001. what should i correct in the below code? Notice, the first url work but the second doesnt work at all. What is happening exactly here? The second URL will get you HTML as response and not JSON. So you get an error. You need raw JSON. Where do you have your 1000s of JSON files hosted? these are the pages i am dealing with. Do you thing i should load the DOM and then parse the JSON? Firefox has a default JSON reader. It might format JSON and show it as HTML. You have to check content type being served by your intranet server. Please post on forum further. Dear Kumar i checked all the xhr loaded when the original page isn’t loading. This is the one that contains the main info. Is there a way to load it as a DOM and then parse the innertext? I would greatly appreciate if you could assist. How can I write the code to resolve this issue? Read JSON tutorial to understand how JSON works. Hello Kumar, i am trying to parse this table list but i am getting Compile error: for Each may only iterate over a collection object or an array. What should i modify in the Data declaration? 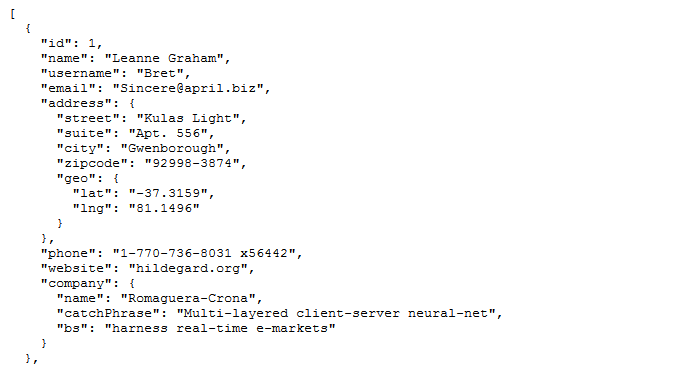 Hello Kumar again, this is my updated version of my JSON list. I am having issues to parse this as it doesn’t contain Keys. Kindly inform me how can i parse the whole array. I am using HP UFT to automate REST API. I will get the JSON response like below. I want to send this to excel in my local machine path to validate name and stock id with the WEB UI values. But everything at run time. I mean one click to run and validate. Could you please send me some code to write in my HP UFT API Testing to convert JSON response to excel sheet at run time. Thanks in advance. Hello brother…i tried all the way but still have error importing my firedatabase. Hi Khaled, Please share your code. Thanks for helping me out and putting me in right direction. Oh and a second question. Is it possible to make the GET http string dependant on a specific cell? (Say in my example “39078833” Is in a cell, say A1. So that if I change the input in cell A1, that the GET string changes automatically, and thus the results of the JSON as well? Hello, First than all THANK YOU is amazing code. I’m trying to get some infomation from Azure pricing calculator API and as this web page show ” https://docs.microsoft.com/en-us/azure/cloud-solution-provider/billing/azure-csp-pricelist ” this API will give some JSON that you can see in the previous page or in this page ” https://bin.codingislove.com/ejemegasel.json “, well when i try to get this information to my worksheet with the next code “https://bin.codingislove.com/ulojivegih.erl”, is poping up Error “invalid argument or procedure call”, can you help me to fix it? I’m able to achieve data1 but not data2, help will be appreciated. I tried to add a new Collection but there is another problem if I use Collection. Do I need to use Array instead? If so, may I know how to do it. – “Numeric” seems to be hardcoded in the script. I need it to be variable reference to a cell. Appreciate you can help on this. Point to note is the data needs to be repeated with different data. I am learning VBA for xsl and automating a project.I am able to provide input data to an API which currently works .But i need to provide input data from from a xsl file ,lets say data.xsl which has input data in column 1 to 30 i,e C2 to C30 in sheet 1 . I tried few things but don’t seem to get the right syntax.Can you please help with that? I want parameter ‘st’ to read data from a xsl file . Here is how i am providing data . Thanks for the detailed instructions. In the section “Reading JSON from a file” can you tell me the path where I have to save the “example.json”? Hi Mohmad, Save the example.json in the same path in which your current excel file is saved. Hello. That’s a strange problem but for some reason when my JSON data updates this parser still gives me old data. I can’t even understand how it remembers old values. Here is link where I do get JSON for input http://evepraisal.com/a/hn3tx.json?live=yes and it updates from time to time. I am having issues with the “” and the “\” in the nested json within. hi.. i am newly using json. can you please help me to solve my problem? Badly require someones help. can you check this problem. by searching solution I found your blog. you`ve done a great Job, many thanks for that. I want to export from excel to a json file. I´am using Excel 2016, where the second problem doesn`t show up in Excel 2013. Wired. How can i work on this because it does’t have key name. Its wonderful code for vba but i am stuck on one json and unable to handle the error. Kindly help me for this format as its doesn’t have header name !!! It writes twice my first string and that`s it. I am trying to build a JSON file that includes a string array and it is not working for me. The problem is with the ‘notified_to’ data shown in the examples below. Any help you can provide would be greatly appreciated. Thanks. Thanks for the samples. My question is when you do not know the field names then how can you automatically read and parse any JSON file? Maybe everyone else is much too intelligent to need this, but perhaps on the page you could add above the code, “to copy the code to Excel, click the arrows which say ‘View Source’ on top right of code window so you can copy it without the line numbers”! Great tutorial thanks! Hi, I just tested the first sub exceljson() in my Excel, running from a button in the sheet, and it failed with “Variable not defined” error for “Item”. I fixed this by adding “, Item as Variant” to the Dim list and it then works. Otherwise I added Option Explicit at top of the file, not sure if this error is me or the code. Hey Will, Option explicit means every variable used in the code has to be explicitly defined first. That is the reason you were getting the error with option explicit. I see one other user had also faced a similar problem. Can you please help with this? I have spent more almost 2 days on this, can’t find the fix! On 17th Dec I had posted a query on Runtime Error 0 Dictionary Key not found. I found the solution myself: The Dictionary being used in the JsonConverter is not referred by Tim Hall as Scripting.Dictionary and that was getting confused with the Selenium Dictionary and messing things up; The moment I changed the Dictionary to Scripting.Dictionary at 2 places in the source code, it started working perfectly! I’ve a question. I’ve imported the JSONConverter module, and ceated a module with the example code from your article. If I do this inside of a workbook (anything.xlsm), it works every time. I have scripting run time reference ticked in both examples. Any insight on how I can get the JSONCOnverter to work from inside PERSONAL.XLSB?